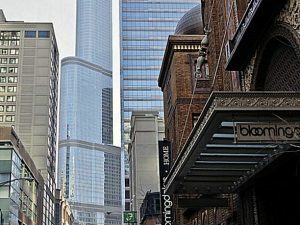 High-rise dominated New Eastside sits in The Loop's northern sector. 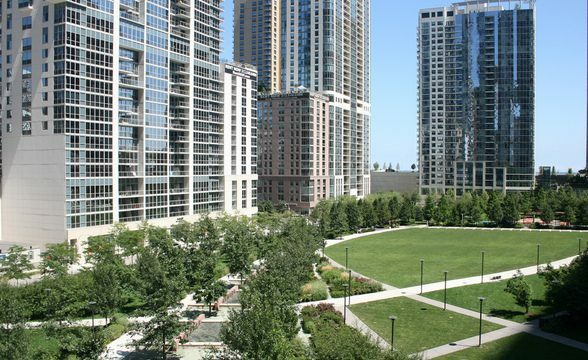 Here, offices, hotels, and luxe condos are all centered around magnificent 6 acre Lakeshore East Park–abound with fountains and lush lawns in the center of the city. Amenities within walking distance include shopping on Michigan Avenue, swimming and sunning on Lake Michigan’s beaches, soaking up knowledge at Chicago’s top museums, and every kind of transit imaginable. In other words, this is a nabe of big-city convenience. 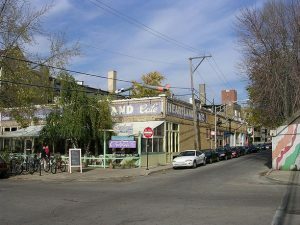 Keep in mind: since New Eastside is so business-oriented, things tend to die down here at night and on the weekends, but food and entertainment options in evening-friendly nabes are mere steps away. 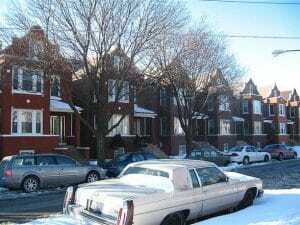 I moved to the New Eastside when I became a grad student at the University of Chicago. We picked the area, because my fiancee was commuting to West Chicago at the time, while I headed south via the Metra Electric Line to school. This area worked for us, because there’s SO many options when it comes to transportation. There’s the Metra, as well as all the ‘L’ lines and tons of buses coming off of Lake Shore Drive. That said, this area isn’t as busy as you’d think, especially in the Winter. Since the nearby areas – aka the Loop – caters mainly to commuters only there to work during the week, things seem to shut down in the area pretty early on weekends. Good luck finding many places to eat on a Sunday! The cost of living can be high, especially in comparison to areas farther from downtown, but since there are so many new high-rise developments in the area, I say go ahead and bargain. In my second year of renting, our landlord lowered the price, because he was afraid we’d find a cheaper unit! (Of which there were many). The best part of this area, hands down, is the central location. Sure, there’s not too much going on in the direct vicinity of the ‘New Eastside,’ but just one hop north over the river and you’re in River North/Streeterville where there’s plenty of nightlife, Navy Pier, theaters, and a lot more dining options. To the south, there’s plenty of other stuff, too, like Grant Park and all the museums. The best part though, during the summer? The beach just blocks from your doorstep. The nearby shopping on Michigan Ave and State St doesn’t hurt either. Due to the location of the New Eastside, there’s lots of people in their late 20s and 30s who work in the Loop. But another big part of the population includes people who have made their second home here. Many of the buildings organize get-togethers. The Park Millennium building, for one, hosts its own ‘Taste of the Neighborhood’ so that residents can meet and greet while sampling some local fare, like Giordano’s, Aria restaurant, and Stetson’s. The area can be a tad bit noisy – I mean, it is the heart of the city after all – but the views and culture at your fingertips makes this a place worth checking out, whether you’re a tourist or looking for a place to live. Dominated by high rises and not a whole lot else, New Eastside is desirable because of its near-the-loop locale, and because of its luxe residential offerings. Some people charge this nabe with being a bit sterile and insular, but it really depends on what makes you happy. If you like living in a sky-high apartment surrounded by a mildly wealthier crowd, this may just be the place for you. In other words, New Eastside may not have much character, but it does have a lot of class. Also, since New Eastside has just recently started developing, you may be able to get a housing deal that’s slightly cheaper than other upscale establishments.